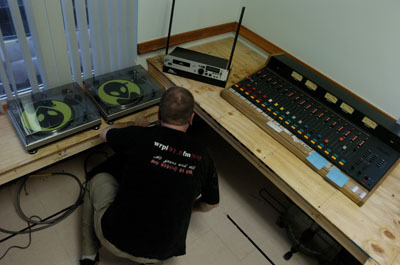 Programming is the heart of what makes community radio great. While the engineering, fundraising, and governing of your station are key elements to running a station, the programming is what defines your radio station. Your programming is the public face of your station and you have to decide what kind of music, news, public affairs, radio dramas and more that you want to broadcast over the airwaves. Radio is notorious for its strong personalities, and managing these individuals into non-overlapping timeslots is inevitably challenging. To avoid the personal conflicts that limited timeslots and strong personalities ensure, it is important to have a transparent decision making process and a clear set of expectations for programmers. Having a strict programming policy is not necessary when you first start your station, but having these rules becomes increasingly important as your station acquires more local programmers. Different stations have come up with strategies and policies to organize their programming, train new programmers and arrange their schedules to maximize listenership. Also, there are trainings and processes to help DJs, hosts and producers improve their programming. Stay tuned for some of these resources which we will have up on the website soon. Part of running a successful community radio station is featuring locally produced news and public affairs programming. While there is a general aggreement that this kind of programming makes for a good radio station, there is often a lack of capacity or training to help community station people produce this kind of programming. Thanks to all the great news and public affairs departments out there we have numerous community journalism resources out there as well as training materials. Stay tuned for some of these resources which we will have up on the website soon. Many of the stations we collaborate with broadcast creative innovative programming. "Recovery Radio" in Philadelphia features programs produced by and for people struggling with issues of addiction and substance abuse. Radio Conciencia in Immokalee Florida and Radio Movimimiento in Woodburn, Oregon broadcast programs about farmworkers rights and information about fighting abuses at work. "We Are Your Radio" in South Arundel, Maryland features a women's roundtable with discussions about the various issues affecting their lives. WMMT in Whitesburg, Kentucky features "Holla to the Hood," a program that brings the voices of prisoners' families to the airwaves. These programs are just the tip of the iceberg and we recommend reading articles in our news archive to find out about other stations that you may want to model your programming off of. There are lots of great programs out there that are nationally or internationally syndicated. Your station may want to join a network that distributes some of these programs. Pacifica Radio is a listener supported community radio network of commercial free stations that serve their local communities and beyond. Pacifica is KPFA in Berkeley, CA; KPFK in Los Angeles, CA; KPFT in Houston, TX; WBAI in New York, NY; WPFW in Washington DC; and over 100 affiliate stations. Two of the most popular Pacifica distributed programs are Democracy Now! a daily news program hosted by award winning journalists Amy Goodman and Juan Gonzales and Free Speech Radio News, a daily grassroots news program produced by reporters all across the globe. Radio Bilingüe is a non-profit radio network with Latino control and leadership, is the only national distributor of Spanish-language programming in public radio. This satellite network was formed to provide stations with news, information, and cultural programming in Spanish and musical programs showcasing a variety of Latino formats with emphasis on Mexican folk and Afro-Caribbean rhythms. Satélite Radio Bilingüe builds on Radio Bilingüe's decades-old tradition of talk programs, special events coverage and its flagship news service, Noticiero Latino, for stations across the United States, Puerto Rico and Mexico. be waived on a case by case basis. Making Contact: Making Contact is FREE, but please consider a donation to help with costs. Free Speech Radio News: If your local station isn't carrying the show, please call and encourage them to do so. Have them contact Alan Searle at admin[at]fsrn.org for more information.